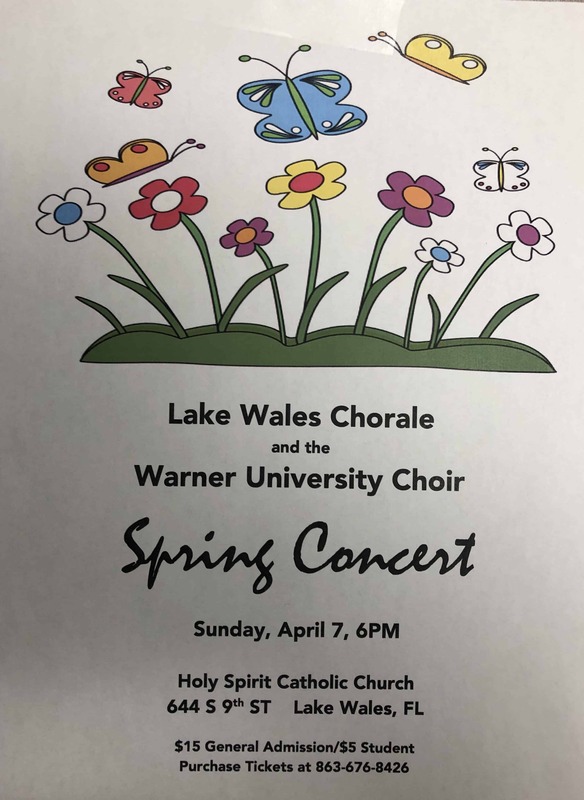 The Warner University Choir will join the Lake Wales Chorale in a Spring Concert at Holy Spirit Catholic Church, 644 South 9th Street, Lake Wales. $15 General Admission and $5 Student. Purchase Tickets @863.676.8426.